This set features a targeted system of high-performance formulas customised to your needs, including a full-size Revitalizing Supreme Eye Balm to reduce the look of lines, wrinkles and puffiness and brighten the look of dark circles. 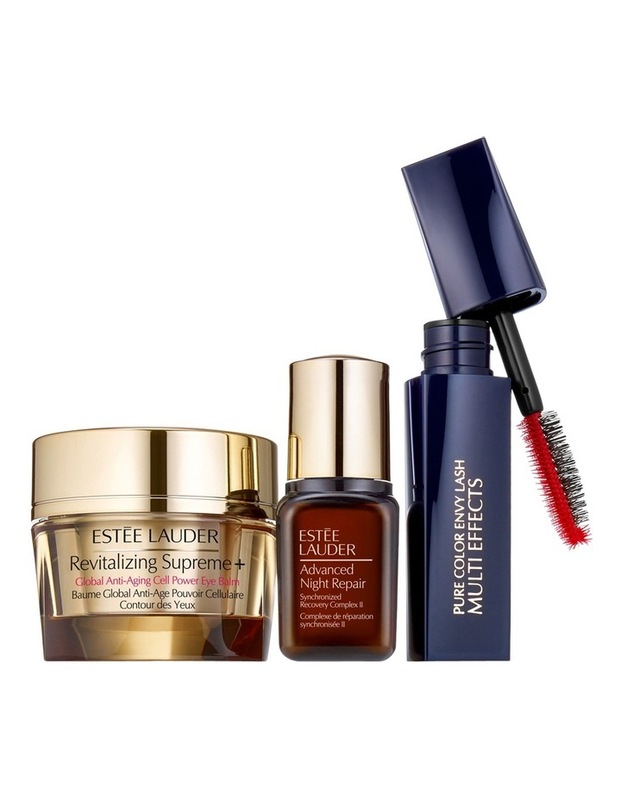 apply revitalizing supreme eye balm am and pm around eye area. apply advanced night repair am and pm before your moisturiser. 1. Use the bristle brush for full-on volume lift. 2. Use the molded brush for limitless length separation.